For my fifth card in the unusual fold card series I used three of the designs included in the True Gentleman DSP from Stampin' Up! 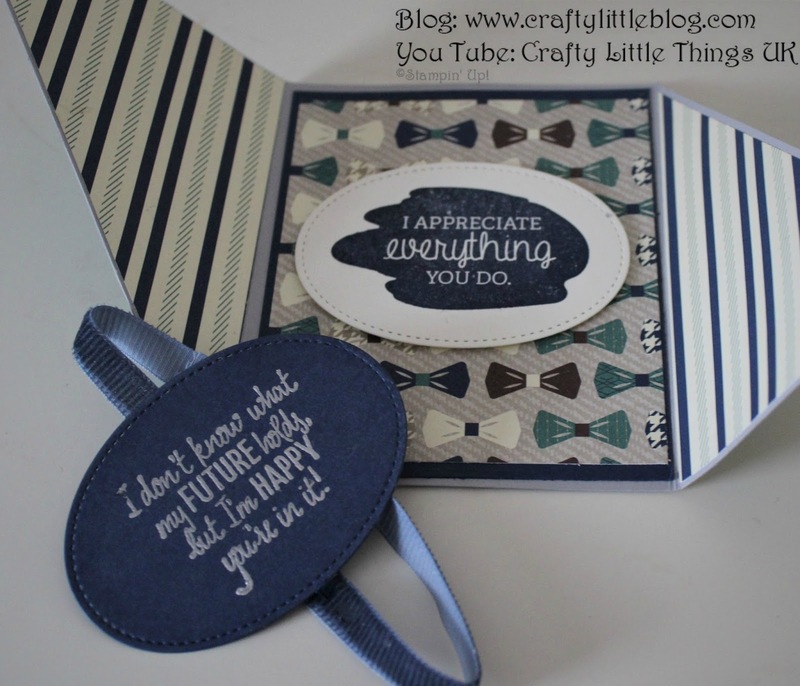 and created this diagonal cut card. It's so easy and yet can look very effective and far more complicated to make than it really is. 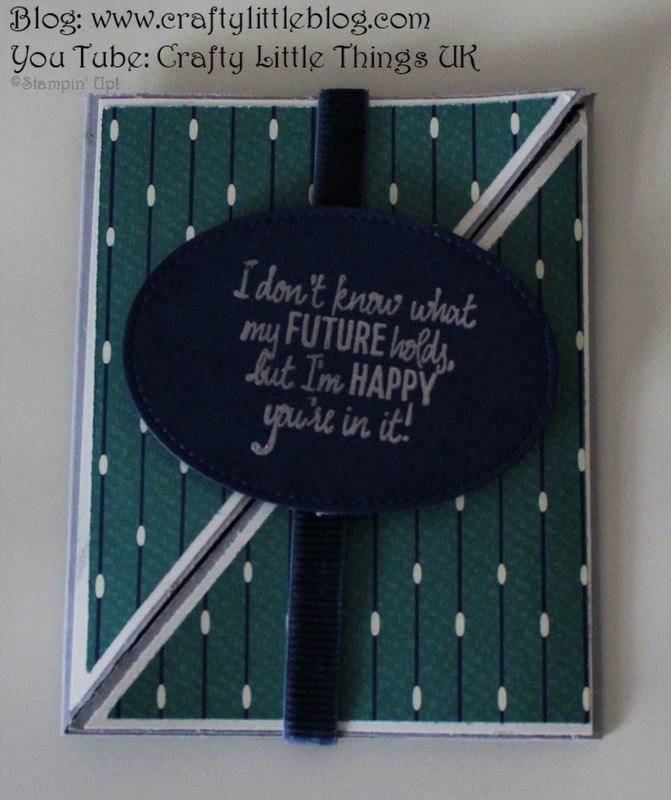 I also used some gray cardstock, very vanilla and night of navy to achieve the masculine look and added a couple of sentiments from the Just Add Text stamp set. One of these was stamped in Night of Navy and the other heat embossed in silver using Versamark and embossing powder finished off with a heat gun. I added a band of the gorgeous coururoy night of navy ribbon too. I just love how it turned out and how simple it was to make. I had originally intended to make 5 cards in this little series but I'm going to extend that to 7 because there are a couple more I'd like to try out and share, so there are 2 bonus tutorials coming. The tutorial with all details needed for this one is on my channel now and can be viewed by clicking here. Thank you for dropping in, next week I'll be moving on to Valentine's Day projects in paper craft and using other crafts too and there may well be some cross over from one craft to another so it should be a fun week.